This was recommended to me at least 10 years ago by my esthetician and no matter what I switch to, because I get antsy and like to try new things, I always come back to bioclear. It takes care of acne and doesn't dry out your skin. I went back recently to using this in conjunction with pevonia clarigel cleanser because I was breaking out and my skin texture was just not right. Within a week I saw huge improvement from this combination of products. Great for all kinds of skin and ages - my friend's 14 year old daughter uses it now and has the best skin of all her friends! I have used this product for years and will continue. Quick delivery and great product. Really like this product, but not a fan of the new container. I realize that the old "pump" bottles has lots of issues too. So I appreciate the company trying new things, but wish there was an easy way to "deliver" this in a correct amount. But bottom line ... great product. I love this product. Since I started using it three months ago I have found my skin to be much smoother and it feels cleaner. Just Click on Buy...then repeat! One of my favorite products and a definite repeat purchase. I use this 2-3 nights per week and wake up with even, clear skin. Love it. 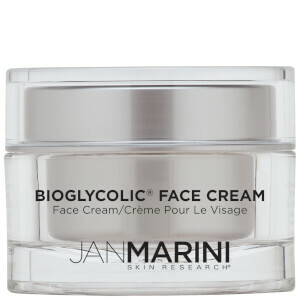 The best for mature women who want a moist look but need oil free moisturizer. This product is WONDERFUL! It smooths my skin, and helps prevent blemishes and spots. The container (tub) is easy to use, and it allows the consumer to get every last bit of product out of it. Plus, it only takes a thin layer, so it lasts a long time. I love this product. I would and have recommend it. Jan Marini is wonderful! I'm in my early twenties and am still dealing with occasional breakouts and post acne scars. This product is pretty strong so I would recommend to use it only 2-3 times a week. So far I am happy with the product, seems as if its helping. I had mild adult acne and my aesthetician recommended this product. I followed her tips and it has definitely helped my complexion without being too drying. Tip #1 - the product is very strong so use only once a day at night. Tip #2 - also only use very little and you are using too much if it stings. 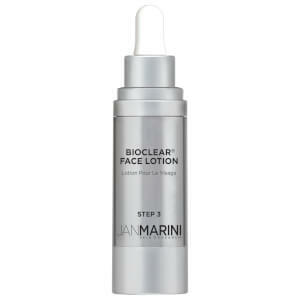 Tip #3 - wait 30 seconds for it to seep into your skin before applying moisturizer (she recommended Jan Marini C-ESTA). I did not have problems with the product's consistency, but I am careful not to leave it in the bathroom where the temperature changes may affect it. I love this product! I am 53 yo, use retin A, fair skin, sensitive skin and perimenopausal. On the night I do not use Retin A I use this product. My skin looks fantastic!! Occasionally the product will sting when I first put it on but I learned that the stinging goes away. I have worked my way up to using this during the day as well. Love the results!!!!! Hollywood Skin for sure.I have had it seperate in the bottle but I stir it prior to applying. I have used many product lines including some very expensive lines. This is my favorite!I am an RN and looking healthly without flaky or broken out skin is important for me.